Cryptocurrencies such as Bitcoin, Ripple and Ethereum have boomed in recent months as investors seek to diversify their assets. Ripple and Ethereum, for example, can be used by financial companies to more quickly and efficiently transfer money between large financial institutions. In addition to cryptocurrencies, the blockchain technology that serves as a digital ledger to facilitate secure online transactions also has a variety of different applications. Russian banks are also keen to use the technology to increase the efficiency of their services and some have already started doing so. 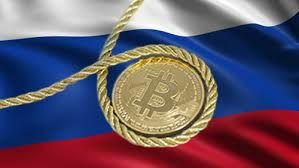 Igor Bulantsev, vice-president of Russia's largest bank, Sberbank, told RIA Novosti that for the last six months, the bank's subsidiary Sberbank Factoring has been working with Russian electronics retailer M.Video to use blockchain technology to check documents. The benefits of the technology include transparency, low cost, scalability, reliability and accessibility. It allows banks to make checks and carry out transactions much faster and with less manual labor, Bulantsev said. "We have given ourselves the task of implementing the entire transaction cycle [using blockchain]," he explained. "We see great prospects for using our blockchain solutions to optimize the processes for [issuing] bank guarantees, including those for state organizations. The introduction of this technology will reduce the operational and time costs of all participants by optimizing the processes for issuing guarantees, for confirming authenticity and accuracy and filing the necessary requirements," Bulantsev said. He added that Sberbank is also looking to make business more efficient by using the Ethereum platform, which offers native support for automated "smart contracts." "A large number of projects in the world are being developed on the Ethereum platform. The advantages of the platform include its popularity in the corporate environment, a large number of available tools and a significant number of developers." The Russian bank Otkritiye, currently the country's sixth-largest bank, said that its developers are looking at Ethereum along with other options. "Choosing Ethereum platform comes only down to the fact that the platform is already being used to carry out real transactions. Nevertheless, we are also looking at other platforms; for example, Corda," Aleksey Blagirev, director of innovations at Otkritiye, told the agency. Earlier this year, the bank already started experimenting with the use of the blockchain technology Mycelium to sell airline tickets, Blagirev added. Otkritiye is also developing a prototype blockchain infrastructure based on the Masterchain platform which was developed by financial services providers in cooperation with the Russian Central Bank. Masterchain allows participants in financial transactions to more easily swap the necessary information in a secure way. "We can expect blockchain infrastructure able to carry out real transactions on the financial market to appear in 2018," Blagirev predicted. Some banks contacted by RIA Novosti said that they are watching the developments with interest, but aren't preparing to incorporate the technology into their business models just yet. Absolut Bank, a smaller Russian bank ranked the 32nd largest in the country by Banki.ru, said that its business doesn't lend itself to blockchain tech. "In the near future, we aren't planning to launch any products on the blockchain platform. This is connected to the specific nature of the bank's business, which is mostly focused on mortgages and where we don't yet see an opportunity to apply this technology," a spokesperson from Absolut Bank said. "At the same time, we don't rule out the possibility of using blockchain within the next 2-3 years as part of projects with our partners," the bank added.